But getting siblings to help with parents can bring up old family arguments, cause sibling rivalries to flare up, and generally add to your burden. We found helpful advice in an article from Family Caregiver Alliance about resolving common issues when caregiving with your siblings. We’ve highlighted the 4 tips we found most helpful in getting more caregiving support from siblings. Before you can ask others for something, you need to have figured out what you want. It’s important to ask yourself what kind of caregiving help you really want. Caregivers often find themselves turning down help that’s offered. If you’ve done that, think about why. Maybe you want help with certain tasks and not others. Maybe you only want help at certain times or just once in awhile. Or maybe you’d like your siblings to help pay for services or for respite care. This is important because if you’re not exactly sure what you want, you may be sending your siblings mixed messages. For example, some caregivers will sometimes refuse help, but other times get angry because they’re not getting enough help. Don’t fall into the common trap of thinking that you shouldn’t have to ask. Your siblings can’t read your mind and might assume that you have everything handled. Plus, if they’ve never been the primary caregiver, they truly don’t know how overwhelming it is. Ask for something realistic. Think about the relationship your sibling has with mom or dad and ask for what they can realistically give. For example, if your sister can’t spend 10 minutes with mom without screaming at her, don’t ask her to do that. Instead, ask for something that works better, like doing paperwork or bringing groceries or medication refills. Caregiving is lonely and isolating and most caregivers feel unappreciated. If what you’d really like is more emotional support, say so. You could ask them to call once a week or say that it would help if they recognized and appreciated what you’re doing. Try to avoid making your siblings feel guilty. It’s tempting because you’re probably feeling angry and resentful. It’s difficult, but taking the high road benefits you because guilt only makes them feel uncomfortable and defensive. They might get angry, minimize or criticize what you’re doing, or avoid you. That will make you even more angry and you’ll want to make them feel even more guilty. That puts everyone into a vicious negative cycle that doesn’t get you the help you need and deserve. When you do ask for help, be careful of your tone and body language. If you’re angry, that’s what your siblings will see and hear even if the words you use are polite. 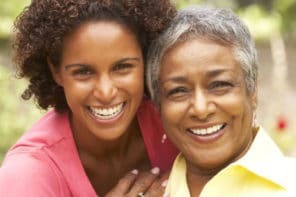 Caring for parents is an emotional and stressful time and families have long, complicated histories. That combination can make communicating difficult because it’s easy for everyone involved to overreact, misinterpret, or rehash old fights. If family discussions keep turning into fights and decisions aren’t being made, consider getting a professional to help. 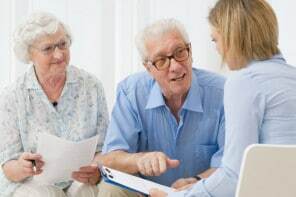 People like family therapists, social workers, geriatric care managers, elder mediators, or faith leaders can help families work through tough situations. Sometimes it takes an unbiased outside party to resolve conflicts, focus conversations on the present, and find solutions that everyone can accept.